We are always studying the market and trends. We are often asked about the timing of the market and has it hit bottom? Everyone wants a DEAL! The adage "Location, Location, Location," is still very true. However, everyone can't purchase a home in the BEST Subdivision, Most DESIRED School District and a home Convenient to Everything. So often we help people turn their WISH List into a Reality List. Contact us for a FREE Market Analysis for your home and lets start the conversation to see if the timing is right for you. Tom is taking his sign rider for a memory. stressful period. Is (s)he going to add to or alleviate your stress? recommendations, but ultimately it's your house, your sale/purchase. Beware the realtor who talks and does not listen. clear context in terms of comparables on the market. that decision, while another candidate I interviewed was not. they took the house as it was, and worked to make the most of it. Stacie emailed me at 2:30 on a Saturday afternoon to say "we're live." statistics that Stacie sent on web traffic showed ongoing interest. find a realtor if ever I need those services. This is NOT what a Buyer wants to see! Home Improvement Myths….Improvements always add value…NOT ALWAYS! As Homeowners, we are always trying to make improvements, but the question is, are the improvements you are making or planning to make going to bring MORE VALUE to your home? 1. 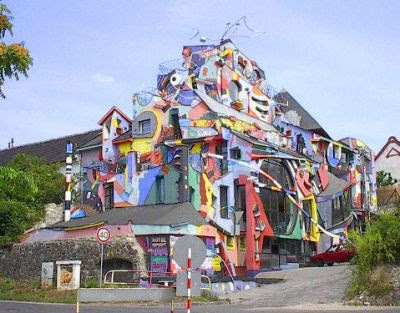 Painting - this is a quickest way to transform a room and add value to your home…if you choose the right colors! Why is color so important? If you are planning to stay in your home for several years, then the purple dining room is fine, but if you are planning to sell, this could be a COSTLY MISTAKE. Most Buyers are visual, therefore, if they see bold colors throughout a home, they will walk in and turn around and walk out..you're kidding right...NO…they see it has $$$$ coming out of their pockets to repaint. 2. Adding Square Footage - this is a tricky question, but the first thing you must do is contact your local planning/zoning department to see if it permissible on your lot and if it is permissible and you decide that adding is the way you want to go TAKE OUT A PERMIT. If you add square footage without a permit, you open the door to NUMEROUS PROBLEMS (see previous blog on permitting)! The same scenario is true if you are finishing off existing unfinished areas of your home. BIG MISTAKE is converting a garage into finished space, it is typically viewed as a negative. 3. Do It Yourself Improvements - for some Homeowners it would be simple to install a new light fixture, change out a dishwasher...etc, but for others who have no experience, trying these things can cost you more in the long run and be dangerous. The best advice is to hire licensed professionals to do the job. 4. 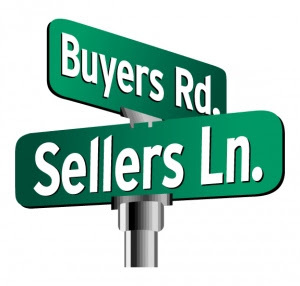 Buying the Highest Quality Materials is ALWAYS Best - if you are considering Stainless Steel Appliances, Granite Counters, Replacement Windows, etc....these are typically good purchases.....if it is the norm for the neighborhood, if not, then you could be wasting your money! 5. In-ground Swimming Pools ALWAYS add value - only if you live in Florida or California, not here in North Carolina, it is considered a negative. TO AVOID COSTLY MISTAKES - whether you are updating your home or thinking selling, give us a call, WE ARE HERE TO HELP. 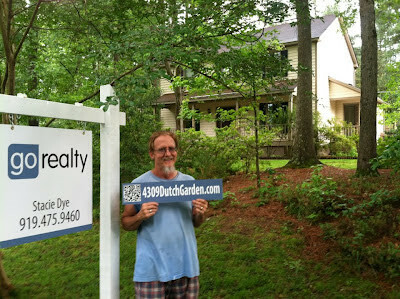 We are Real Estate Brokers and Kay is also a licensed Real Estate Appraiser, so WE KNOW VALUES! The Real Estate Market is on the RISE in The Triangle! We love sharing good news! The Real Estate Market is on the RISE in The Triangle! Take a look for yourself. Making MOOOney for Children's Hospital! Please meet Steven Ray Miller! 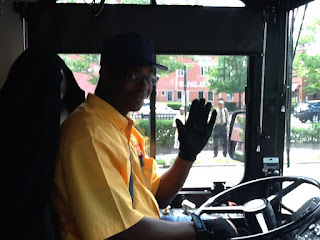 We met some great folks this week on the Bull City Connector. This was our first time taking advantage of this wonderful and FREE resource in Durham. Our philosophy is to make every day a FUN ADVENTURE! The Volunteers greeted us with cheerful smiles today at Second Mile Ministry. They told us that folks were waiting in line at 5:00 a.m. to receive help this morning. Durham’s Home Energy Savings Program (HESP) is designed to help households save energy through targeted home improvements. Approximately 200 homes will receive subsidized, professional retrofits through the program. HESP is being offered for a limited time only, on a first come-first serve basis. Participating homes will save an estimated 20 percent of their home energy use. Participants pay $400 and HESP will pay up to an additional $1,600 per house. To qualify​​, homes​ must be 1) 1 or 2 story and 2) 2,300 square feet or less.